Ok pop culture moves fast and we are definitely behind the times with this one but give us a break it was summer vacation! 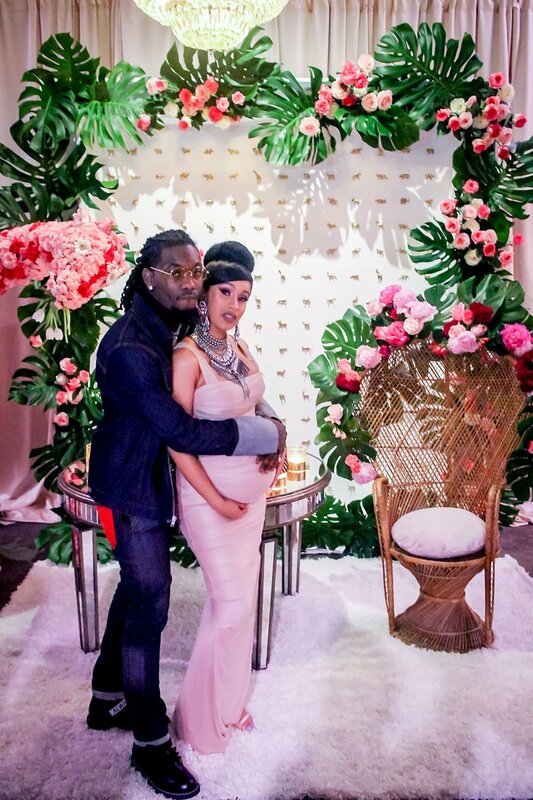 While we were off blasting the Cardi B summer jams, she was having an absolutely killer baby shower. Monstera leaves have been all the rage lately and when we saw the monstera leaf and pink bloom backdrop our jaws dropped and we fell in love. The mix of soft and bright pinks against the lush green is gorgeous and highlights both the leaves and the blossoms. Perfect mix of soft classic baby pinks with bold modern architectural greens. 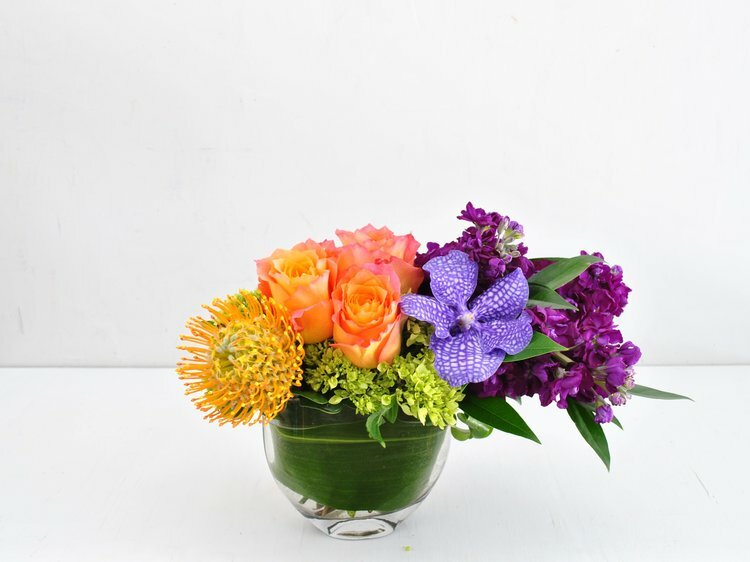 If you are having a Boston baby shower, or any event for that matter, let us make you feel like a pop princess and deck out your day with flowers. Who knows? Your event with us could be the next one everybody is drooling over! Or keep it simple and stop by for a couple stems of monstera leaves to recreate your own bold mini backdrop. Yes our cut flower arrangements are gorgeous and our shop is well worth a walk through, but don't forget- our roof decks and container plantings are unparalleled too! Don't believe me? Take a tour of Beacon Hill and check out the luscious window boxes all around the neighborhood. By now the spring blooms are fading, time to have us come in to refresh. We can also maintain if you don't feel like unwinding that hose or schlepping around the watering can. Let us turn your city stoop into an oasis! We're back from our mini break tomorrow. The flowers will be fresh, fresh, fresh. See you then! Just a head's up, Rouvalis Flowers will be taking a little summer break starting this Saturday 6/30 to return Thursday 7/5. Time to spend some time eating hot dogs, working on our tans and watching fireworks. We know you'll miss us. We'll miss you too. Cheers! Have a great Fourth of July!!! We are always a little sad when tulip and hyacinth season ends... Luckily with the end of spring bulbs comes SUNFLOWER season! The perfect casual summertime picnic flower. Whip out that checkered tablecloth, squeeze your lemons into lemonade and fill a vase with these perfectly happy blooms. Our local stems have arrived. We have an in store special running right now, one bunch for $12 or two for $20. Come and get it! -Sunflowers are heliotropic. That means they follow the sun. If you were to do a time lapse video of a sunflower field during the day you would see theirs heads follow the sun from east to west. -Sunflower seeds are either black or striped. The black are used to make sunflower oil. The striped are the ones we snack on. -The average height of a sunflower is 8-12 feet. The Guinness world record winner was 25.5 feet tall! -The Latin name for sunflower is helianthus. This literally means Sun (helia) Flower (anthus). Why pincushion protea, of course!! These otherworldly beauties are a real winner in our book. Unique form, bright colors and very long lasting. These are a summer time hit when more delicate blooms may fade in the heat. There are over 1000 different varieties of protea, all of which stand out from your average flower shop items. From big white king protea to small clusters of blush bridal protea to the striking black and white Niobe protea. The King Protea is the national flower of South Africa. Most people in the know think of protea as a flower of Africa but there are a ton of varieties growing in Australia as well. Right now we are well stocked in the pincushion variety- bouquets, single stems and featured in some of our fave summertime arrangements. Come in and grab a few stems or just take a look at these bizarre little things. Next time one of your friends says What flower is that?! You'll be in the know! Terrariums are hot right now! They look so cool that people often think they must be difficult to make or care for. Not true!! By the way, did you know Rouvalis offers workshops? That's right! We bring the supplies, the plants and the knowledge. You bring your friends, colleagues or bridesmaids (...and wine...). -Glass container, could be a sphere, hurricane shape or fancy hot house like above. -Soil and something for drainage is recommended, stones, sand, broken pottery. Charcoal pieces are great because they also detoxify. -Plants- ferns, orchids, small low light foliage plants, succulents work very well and are easy to care for. Fill the base of your container with a layer of drainage medium, next add a layer of soil. Now start placing the plants. I usually start with the biggest and work around it. If you are using cut succulents those should be placed after moss. Once your plants are in place cover your soil with moss and add in whatever decor you have. Maybe some sea glass? Add your cut succulents and Voila!! Maintenance will differ slightly depending on the plants you chose. Generally bright indirect light is a safe choice. Terrariums should be watered lightly once a week, we recommend using a mister. Foliage plants will require a bit more water than succulents. Be careful not to soak the succulent leaves as it can cause rot. Easy right?.... Well, maybe you should just have us show you. Book your workshop today! Here are the Rouvalis girls! So 2018!! Well, if you couldn't tell from the photo, we had a fab time at the Mayor's Rose Garden Party again this year. Though the weather was a bit threatening, the rain held off long enough for everyone to have a great time. Congratulations to all of the hat contest winners. Shout out to our girl Madeline!